We all have that favorite piece of furniture with just the right padding, fabric or leather covering that suits us perfectly on a lazy day or even a stressful one. Preservation of these pieces of furniture should be sought after and executed by weekly cleaning, but it also greatly helps to have them professionally cleaned every so often. If you want the comfort, and cleanliness of your upholstery to last for years on end, you must make sure the upholstery cleaning is done properly. Some stains you can attend to yourself, but other stains will set in, and likely lead to more damage being done to your furniture. If you don’t act quickly enough, the stain will sink in and continue to ruin your upholstery. We can thoroughly clean your couch, chairs, love seats and sofas. Whether it’s your latest purchase, a thrift store bargain, a family heirloom or a piece of furniture in mid-stride, our dedicated and highly-trained, IICRC certified staff will revitalize each piece with focused care. Even before beginning the cleaning procedure, our staff will intricately inspect the fabric, and even the construction, of each piece before an appropriate method is chosen for the particular furniture upholstery. Every piece of upholstered furniture requires very particular care, and we have the training and tools to provide the appropriate touch. Our technicians are certified to take on many tough-to-clean materials, such as suedes, ultra-suedes, silk, and velvet. In addition, we offer the service to deodorize, as well as the option for protective coating if desired. We guarantee that your upholstery will be cleaned to your satisfaction because your satisfaction triggers our own. 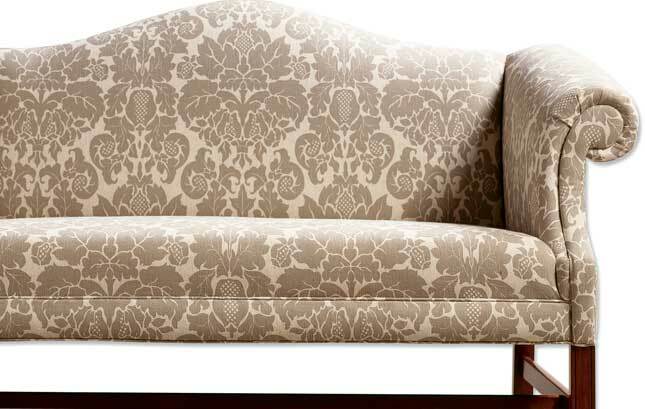 Inspect: We will conduct an inspection of the upholstery to determine type and areas that are stained. We will evaluate your piece of furniture’s construction thoroughly, making sure to form our game plan correctly. Brush: From there we will do a brush of the upholstery with a soft brush, as not to damage any part of the furniture. The light brushing will loosen any dust and particles stuck on the surface and in the crevices of the furniture. Rinse: We will then rinse your furniture with our high-tech machine where we can adjust the amount of pressure of the water to fit your particular type of upholstery. Wipe: From there we will wipe your furniture down and dry it with high-speed blowers for an amount of time as we see fit. Deodorize: We offer to deodorize your upholstery if you so desire and also offer to add protective coating after we are done with the cleaning procedure for your upholstery.